It has been a long time since the last update post, and I've been quite busy! I've been wanting to write this post for a while, but kept thinking "one more feature", and now 3 months have passed and I still don't have a post, so I'm going to just do a general writeup of what I've been up to. Hopefully I can get back into the posting rhythm by getting this out of the way. ...And that reason is the UI. I tried writing a GTK-based UI in C, and although it worked it was annoying and clunky to write. I decided that since Vala translates to GObject C anyway, it would be easier just to write bindings for the backends than to continue working on this specific part in C.
The startup dialog and project creation workflow are probably the most finished parts, so far. So far, things have been going well. I've made GTK UIs with Vala a few times now, but this time I'm trying to pay more attention to the details and make things look just a tiny bit nicer. At this point, the majority of the UI elements above function as intended. 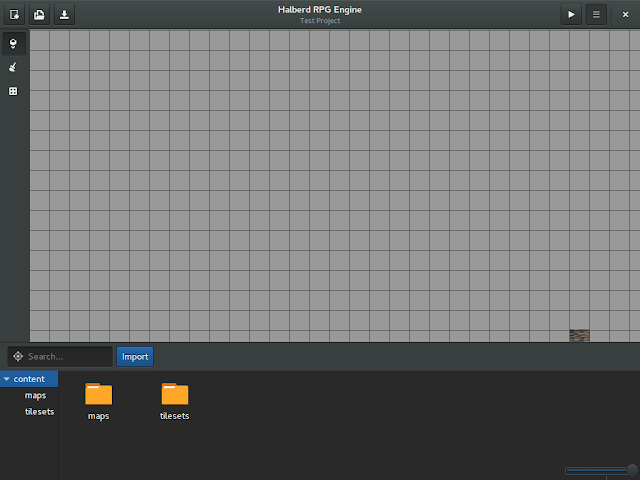 The editor interface is starting to look more like an actual game engine, which is great! This is my first time making an editor with this sort of scope, but I'm pretty happy with my progress so far. Apart from the UI, the other main improvement to the game is the addition of projects. The engine now has actual projects that separate different games being made. This is useful for a lot of obvious reasons, so I won't go too far into it. Overall, though, this will make things much easier for me once I actually start making games with it. 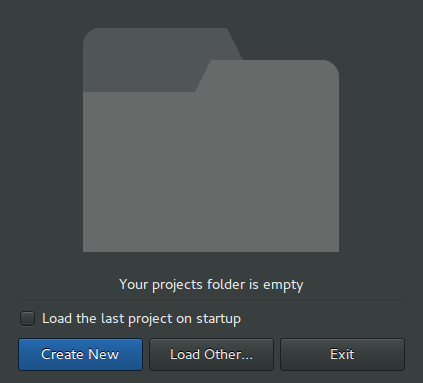 Finish project support, at least as far as file handling goes. This means creating, importing, renaming, moving, opening, and deleting assets from the bottom pane. You can currently open and import these files, but that's about it. I'd also like to get the search feature working. Re-add support for tilesets. Right now, the editor is using garbage data left behind by the graphics card as a temporary stopgap, but I want to be able to use actual tilesets again, as well as tie tilesets to specific maps. Start adding more game/engine features. The only thing you can really do right now is walk around (You can interact with NPCs, but they can't be spawned in yet), and I have quite a bit that needs adding before I can call this a real RPG engine.